Elton's Song (g. by Your Song). See below. TAKEDOWN (Stratum). 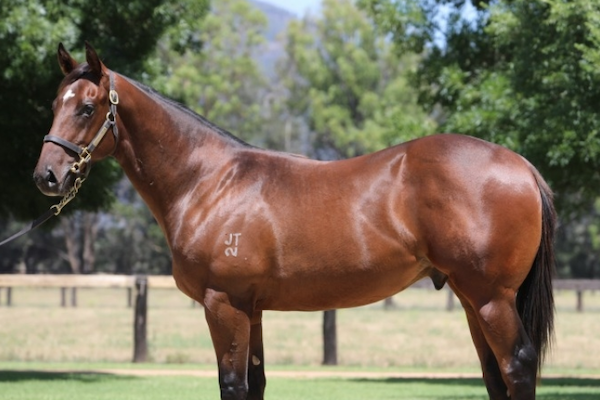 7 wins-3 at 2-to 1400m, A$1,565,450, HK$370,000, WATC Winterbottom S., Gr.1, ATC Premiere S., Gr.2, Shorts H., Gr.2, Schweppervescence H., Gr.3, Canberra RC Black Opal S., Gr.3, Gold Coast Guineas, Gr.3, 2d MRC Moonga S., Gr.3, BRC Fred Best Classic, Gr.3, ATC Fireball S., L, 3d ATC Arrowfield 3YO Sprint S., Gr.2, VRC Chester Manifold S., L, ATC Heritage S., L, 4th ATC Premiere S., Gr.2, Roman Consul S., Gr.2, BRC Victory S., Gr.2, ATC Show County H., Gr.3, Darby Munro S., L, SAJC Christmas H., L.
Sea Diamond. 5 wins at 1200m, 1400m, HK$3,731,250, HKJC Yan Chau Tong H., Carnarvon H., Li Cup, Lo Wu Saddle Club H., Lugard H., 2d HKJC HKU Faculty of Arts H., Mr Vitality H., 3d HKJC Family Harmony H.
Spirit Forever. Winner at 1200m in Aust. L'Infinito (Galileo). 5 wins-1 at 2-from 1400m to 2100m in France and Qatar, Prix du Chateau de Compiegne, 2d Maisons-Laffitte Prix Flamant, 3d La Coupe de Marseille, L.
Apamea (Zafonic). 2 wins. See above. Mateyev (Woodman). 2 wins-1 at 2-at 1300m, 1600m, Saint-Cloud Prix Bubbles, 3d Chantilly Prix de Saint-Patrick, L, 4th Chantilly Prix de la Jonchere, Gr.3. Happy Century. Winner at 1200m, HKJC Waglan Island P., 2d HKJC National & You Into the New Century H., Success Partners H., 3d HKJC Hin Keng H.
It's Vegas Baby (Beneteau). 3 wins-1 at 2-to 1300m, A$76,275, 2d GCTC First Up Racing Connections 2YO H., 3d BRC Phelan Ready S., L.
KING LOUIS (Equiano). 2 wins at 1200m, 1350m, NZ$96,050, in 2018-19, ARC Mongolian Khan Trophy, Gr.3, 2d WRC Wellesley S., L, Hawkes Bay Rageese at Windsor Park Stud S., 3d Hawke's Bay Guineas, Gr.2, WRC Kilbirnie Sports 2YO H., Gavelhouse.com Auction Online 2YO H.
WAY BACK - DRAGON COMMANDER (H.K.) (Motivator). 3 wins at 1600m, 2000m in 2018, Milan Premio d'Estate, L, Premio Lodi Vecchio, Premio Scuderia Radice Fossati, 2d Milan Premio Pontenure, 3d Milan Premio Vittorio Riva, L, Premio Gardone, L, Premio Emanuele Filiberto, L.
Limited Edition (Kendargent). Winner at 1900m, Chantilly Prix du Chemin Ferre, 3d Deauville Prix de Lieurey, Gr.3, Maisons-Laffitte Prix de Bagatelle, L.
Afya (Oasis Dream). Winner at 1600m, Maisons-Laffitte Prix Luth Enchantee, 2d Longchamp Prix de la Michodiere, 3d Maisons-Laffitte Prix de Bagatelle, L, 4th Chantilly Prix de la Cochere, L. Producer. Argun River. 7 wins from 1700m to 2150m, €106,530, Saint-Cloud Prix du Bearn, 3d Chantilly Prix du Bois Bourillon, Prix des Aigles. Race Record: 6 Starts 0-0-1 A$4,800.